A lot of people, including friends and family have commented on how quickly my hair has grown. If you remember, I big chopped again in December 2016, after post-partum shedding. My hair was in a really bad state, my hairline was thinning and it was very unhealthy. So, instead of putting hours that I didn’t have to nurse it back to health, I decided to chop it off and start again. I still don’t regret it. Many questioned my decision, but I’m glad I did it because my hair has done really well and it’s thriving. Because some followers have felt inspired to start over for themselves and others wondering how my hair’s gotten to this point, I want to share some tips with you. I wouldn’t want you to start over, then be disappointed in the possible end results. So here are my tips if you’re planning on big chopping again for whatever reason or if you’re big chopping for the first time. There’s no point big chopping because your hair is heat damaged or unhealthy due to certain habits you’ve adopted, then you go back to doing those things. So have a think about what led you here, then make a conscious effort to change and do the opposite. If you’re suffering from breakage because you weren’t moisturising your hair, then after your chop, you need to moisturise that hair! There’s no point in starting over and repeating the same mistakes. I pretty much left my hair alone, which I know has some people quite puzzled. I’ve been asked what hair supplements I’m using but my trick really has been to just let me hair be for almost a whole year; I put it into protective styles for about two months last winter using wigs, I went back to basics with my routine and do things only when I need to. It’s at a length now where I’m not washing it as often as I used to; it’s longer and I’m using less styling products on it. Let me know if you’d like me to share my latest routine with you. Other than letting Fro be, I’ve also gone back to being healthy. I’ve been practising a low GI lifestyle for a couple of years now and it’s really helped me. After I had Kai, I went off the wagon and didn’t stick to it at all. I got into really bad eating habits and stopped going to the gym, which I also used to do before I got pregnant. Since the middle of last year, I’ve returned to being healthier. It worked for me before and it’s working for me again. If your body is healthy, then only health will come from that. I can’t credit my hair growth just on that but it’s definitely contributed to it. I always tell people, don’t compare your hair growth to someone else’s. We’re all given a batch of different genes that are great at something. Some people are blessed with great skin, others have amazing legs. For some, it’s amazing hair. My mom’s in her early 70s and she looks like she’s wearing a weave. She’s not natural, she relaxes her hair every three months or so but it thrives even though she’s older. Her hair is so thick, and it’s really gotten thicker the past five years or so. My dad also has thick hair so I obviously inherited that from both sides of my family. Genes play a massive role in what kind of hair and hair growth you have. The best thing to do is to be patient and remind yourself that everyone has different growth rates. You need to also believe in your hair. I get asked by women with thinning hairlines, or unhealthy hair what I do to keep my hair healthy. When I tell them to stop wearing tight hairstyles, glued on wigs, not to comb their hair often, keeping it simple – they don’t believe me. 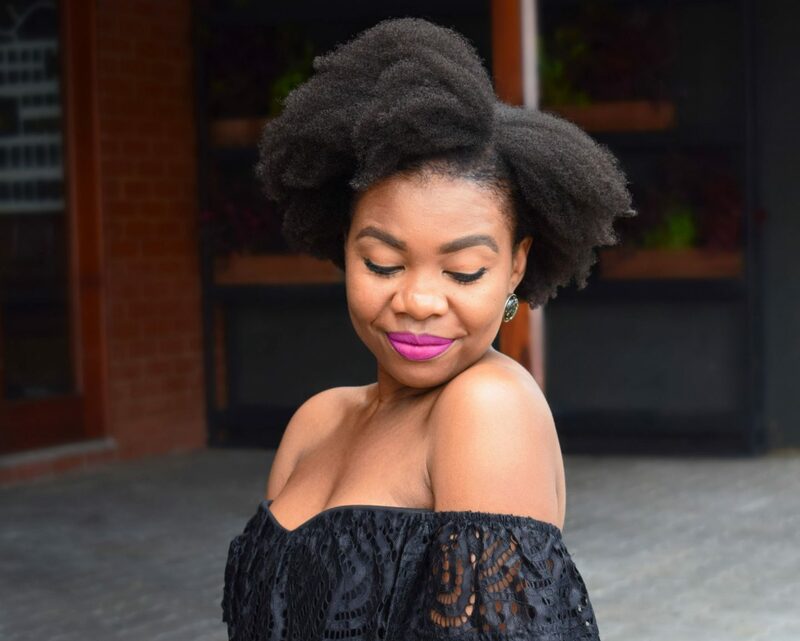 Because many of us grew up not seeing our hair or others with healthy maintained natural hair around us, we really have this doubt that our hair can’t do certain things. And we give excuses when we see a woman rocking her beautiful hair. She must be mixed with another race, she’s from another country, she’s using supplements. There’s always a reason why someone else’s hair is thriving as opposed to yours. You need to believe in yours and stop doing the harmful things to it. If someone whose hair you admire tells you what to do to get there, believe them. At least, believe me. 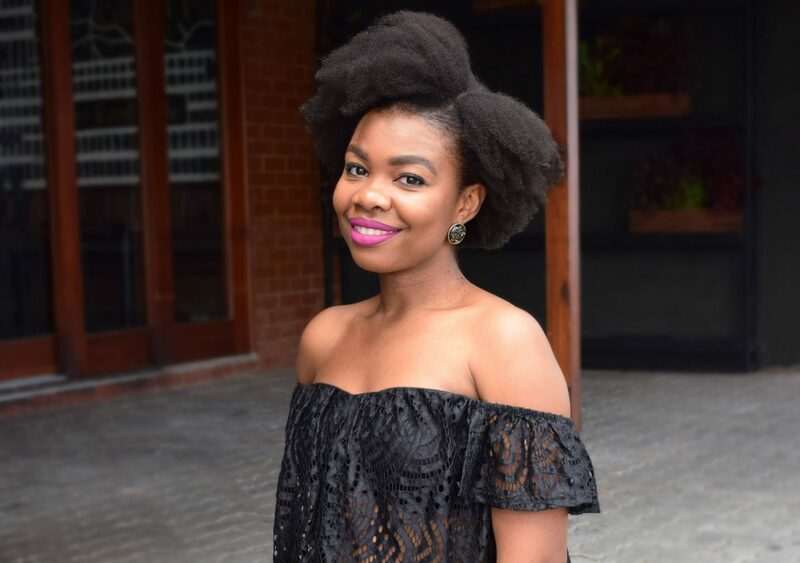 I’ve always been honest about my hair journey, what I do to achieve a hairstyle and maintaining hair health. Believe me, and believe in your hair. Am I growing out my tapered cut? Put simply, no I’m not growing it out. My understanding of growing it out is that I no longer want it to look tapered, but I definitely still do. I really love the shape it’s transformed into. I loved it when I first cut it, and possibly even more now. Something I really wasn’t feeling about my hair when it was even was that it started to look awkward and needed some shaping, especially when I wore something that grazed my neck. I always had to make sure it was shaped properly. Whereas now, it has that nice shape automatically, while still having length at the top and middle areas. I’m also enjoying this length because I’m able to do more styles now. I can rock a puff, free fro and even a pinned updo. I’m definitely at a point where it’s giving me options, if I want them. I’m really happy with those few styles I do, as it reflects my more minimalistic life at the moment. If you still want more varied style options, all of the styles I’ve done in the past are rockable today – I have over 60! So check out my styles page and YouTube tutorials. When I first cut it, I wanted to try something a bit different so that’s why I didn’t chop it evenly and had a styled tapered cut. That style is still tapered but not as drastic as when I first cut it. I might cut it again, but only to get it back to its current length. I really do love it and I think it suits me and my current style. So that’s how my hair has grown, in a nutshell. It’s a combination of better habits, patience, genes, healthier lifestyle and lower maintenance. What’s your current hair situation? Are you thinking about big chopping? Are you working to grow your hair? Let me know in the comments below! Great tips,its so true that what you put in is what you will get out.I definately need to get back to eating healthy and taking care of my self not just worrying about what hair products I apply. I big chopped in February and I’m absolutely enjoying it. My hairline is completely damaged but I hope this will help recover it. So good to hear you’re back on track Pearl. Thank you so much for the support, sharing my content and this comment, it really does mean a lot to hear from you and that my journey inspired yours!